Growing your own veggies always gives you a great sense of achievement, beyond getting you vegetables you grew on your own, knowing what all went into growing your own veggies, be it growing them organically, with no chemical fertilizers used, using natural insecticides and pesticides to ward off insects and bugs. Around three and a half months back, I brought home some brinjal plants, giving a first try to growing brinjals in pots, twenty foot above land. 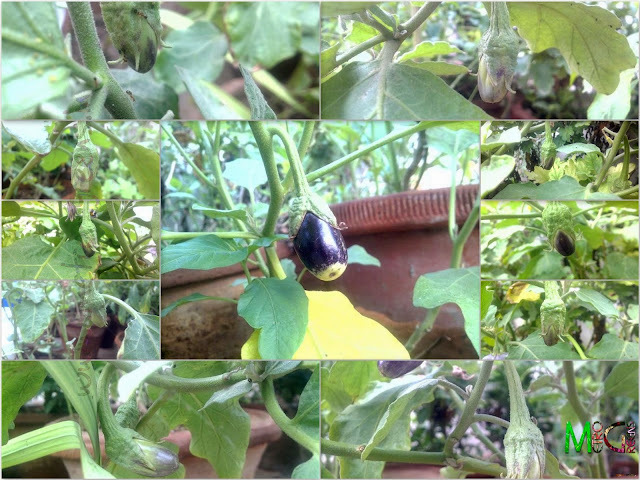 I have been sharing with you guys the progress of my brinjal plants. Five pots, ten plants and around four months later, I finally have got them growing. The brinjals are finally there, ready to be harvested, cooked and relished, although, I am not the one who likes having brinjals as vegetable, having them growing as parts of my garden in itself is fulfilling. New brinjals, just starting to develop. There has always been associated an element of work that needs to be done when you're into gardening. Be it planting them, feeding them, caring for them, warding off insects and bugs. It needs to a lot of hardwork required to be done with the plants to achieve the good results, and there is no shortcut to hard work. Brinjals after some days of development and growth. 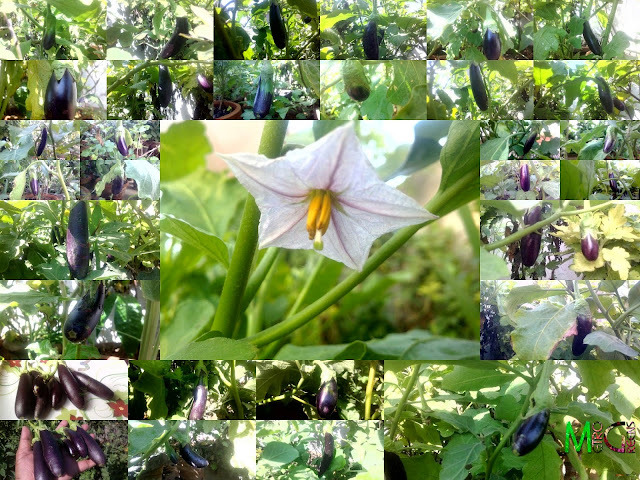 Presenting here, pictures of my brinjal plants, I captured over weeks, that the brinjals first appeared and have been growing ever since. I have harvested some of them, which finally were ready to be harvested. Some more will be ready over a couple of days, and then some have just started to develop into brinjals. 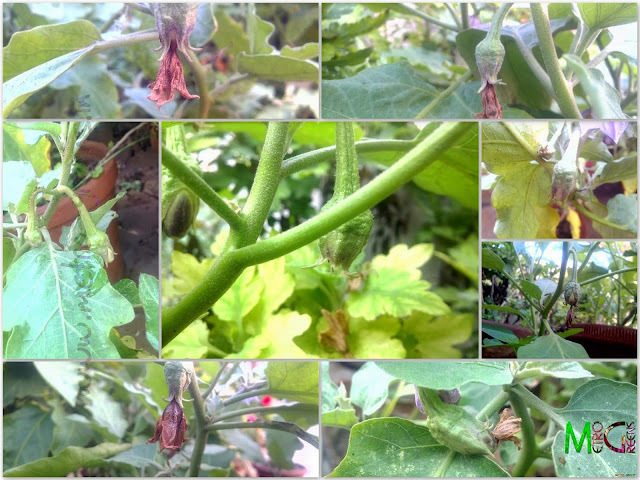 Some more brinjals, at different stages of growth, some ready to be developed, while some, still needing more time to be ready to be harvest. I will be back with some more updates from my potted garden. Till then, keep trying and HAPPY GARDENING! I have not heard of Brinjals but they look very aubergine- like. are they similar ?